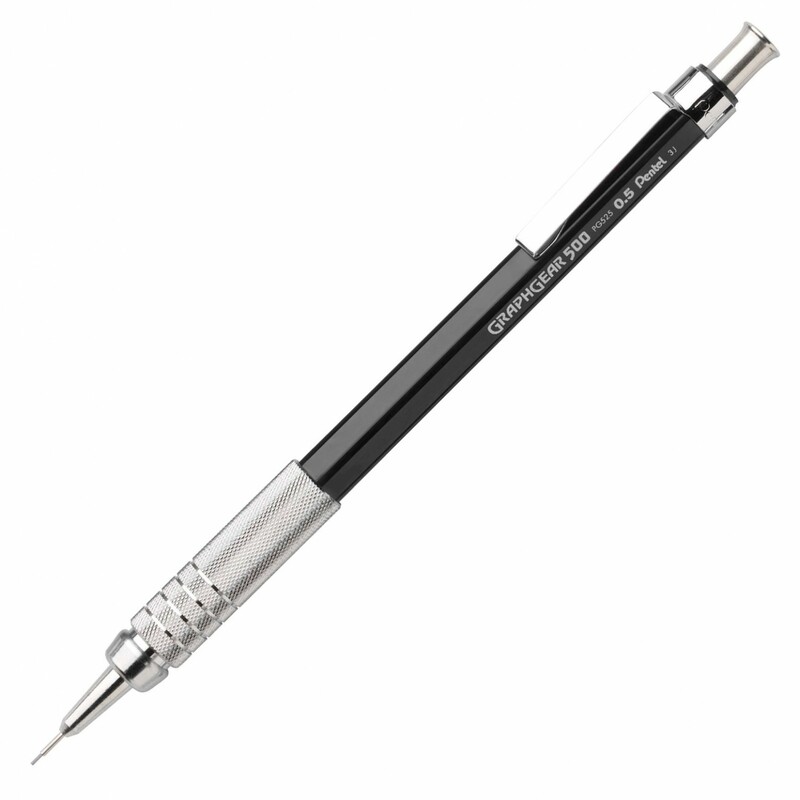 GraphGear 500 features a 4mm tip design for rulers and templates. Metallic mesh grip on a slim, beveled barrel promotes control when writing. Weighted at your fingertips for precise drafting and template work. Pre-loaded with Pentel Super Hi-Polymer HB lead; never needs sharpening, is super strong and produces a clear dark line. 0.3mm, 0.5mm, 0.7mm & 0.9mm sizes available; color coded sizes for fast & easy size lead size identification.